There is no denying it. Traditional casinos have become inherently old-fashioned. However, while there are more modern casinos emerging, they still feel antique in many ways. It’s not like we are suggesting the antiqueness is horrible. On the contrary, many people enjoy the traditional casino system. But a change wouldn’t be bad either. Don’t you think it’s time to shift to a technology-based system? Many casino owners are gambling with this question at the moment. And, the odds are unknown. 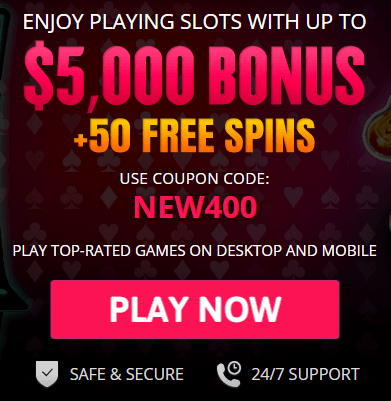 You see, the issue of using technology in casinos first appeared as far back as the invention of the computer. That was in the mid-to-late 20th century. We are now deep into the 21st and have not yet adequately addressed the issue. Should we embrace, accept with moderation or dispose of technology entirely? Fifty years ago, there were things we were unable to do. But, thanks to a half-century of technological advancements, we can now do them efficiently. The most significant change came with the rise of the Internet. People could now gamble on their devices as easily as they could on the casino floor. While it was a breakthrough, at the same time, it foretold the death of casinos. It forced traditional casinos to rethink their strategies. Casinos had to adopt artificial intelligence, virtual reality, video games, and eSports. And, so far, they seem to be working. The popularity of casinos is far from dwindling. But, will the casinos be able to sustain the numbers? Should they turn their facilities completely over to robots and artificial intelligence? 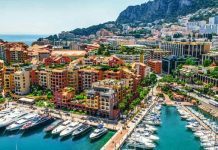 Appealing to new audiences is an ingenious way that casinos have found to secure their futures. It’s hard to find young people interested in the traditional slots and jackpots. They are more interested in skill-based challenges. Casinos have used this to incentivize the younger generation into the game. Thus, the regular video game is now turning into a betting experience. In addition to video games, eSports are gaining in popularity. eSports is a competitive gaming arena for video gamers. People are now willing to pay and watch professionals battle it out in a live gaming session. And, of course, audience members can bet on whom they think will win. Thus, there’s no doubt the traditional casino is evolving to a modern one. 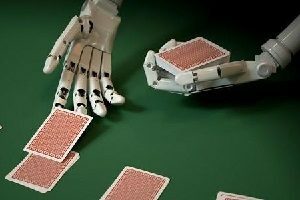 While eSports and video games might change the outlook of the casino, robot croupiers will be the most significant difference. And, that forms the basis of our article. When you are the best at a sport, you test yourself against the best. But, how do you test yourself when you have a supercomputer for an opponent? In games, such as chess, it doesn’t matter how smart a computer might be, or how many moves ahead it is. It is possible for a human to beat it. But, it’s not just chess where people can find these technologies. AI has found its way into games where skill is a chief factor. It is impossible to use an AI in a game where you need luck to win. This includes table games. Where it is necessary to calculate the moves of a player, a casino cannot use an AI. For example, the AI can’t predict the results of a football game or which team is going to win. The fans might take an educated guess depending on the form and ability of a team. But poker fans should be worried about AI. 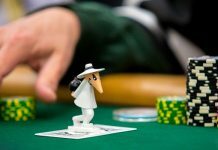 If you make a living playing poker, you should watch out for AI. Scientists are working on a robot that can predict a player’s next move, as well as count the odds. It’s about to get harder for the poker pros. However, it’s humans who make these machines. Therefore, the machines can make mistakes as well. If and when they are well-programmed, however, they might become unbeatable. So, can we stop the machines from invading the casinos? Probably not. 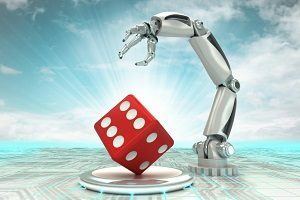 Full implementation of casino robots means casinos will have to improve their safety and security structures. Because it does not matter if a casino is fully automated. Cheaters will always try to find a way to tweak the system and exploit it. Sadly, we will have to bid farewell to some of today’s favorite games, such as poker. They might not disappear entirely, but their popularity might decrease rapidly. 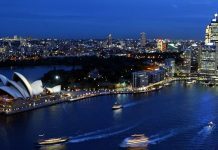 The G2E Asia 2017 previewed the future of casinos. The expo came at a time when casino owners were trying to find alternatives to casino dealers. The salaries of casino dealers have increased by 150 percent in 10 years. It’s now a couple of years down the line and the arrival of the robot dealer is imminent. Robots are also becoming popular among casino owners. A Hong Kong tech firm has created a prototype robot croupier named Min. Min has already found its way into casinos in Macau and the United States. But this is just a prototype. The ideal version is a robot that can deal cards, interact with players, run a game, and detect cheating. Replacing human dealers with robotic ones has been a hot issue in Las Vegas casinos. Casinos in Las Vegas have already begun to replace humans with robots. It has not gone very well with employees at casino arcades. 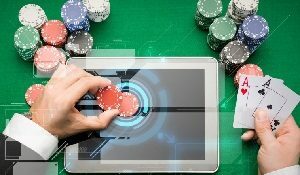 The utilization of robots in the casino workplace to casino owners is a way to maintain efficiency. You see, robots are made to improve on what humans can do. Here are two good examples where robots have made human work more efficient. At the Tipsy Robot bar in Las Vegas, a robot can mix a drink in 90 seconds. The robot can serve 120 cocktails and drinks to customers in just an hour. Pechanga Resort and Casino in California decided to use surveillance robots 24/7 in an attempt to ramp up security. And, this spells trouble for people employed as casino security officers. Will there be a need for humans? Should workers be worried? Are Casino Workers Becoming Irrelevant? This question has led to thousands of casino employees in Las Vegas losing their jobs. The future of an estimated 38,000 cocktail servers, bartenders, maids, and cooks is in limbo. Employees wait for the casinos to prepare their contract. But they are unsure of where they will be in five or 10 years. Workers feel that it’s just a matter of time before the casinos will let them go. As exciting as it might seem to see robots performing the jobs of humans, there is still something missing. This missing piece is the human aspect. No matter how fast and/or efficient a robot is, it still needs a helping hand from a human. Even customers at the Tipsy Robot bar say there is more to be desired of robots. Yulia Frumer, a professor at John Hopkins University, thinks the issue of robots replacing humans is just hype. She adds that the sophisticated functions of a robot make it cheaper and easier to hire a human. If that does not comfort humanity, it is important to note that no robot can ever replace human interaction. In any case, there will be more jobs created if more companies started using robots.